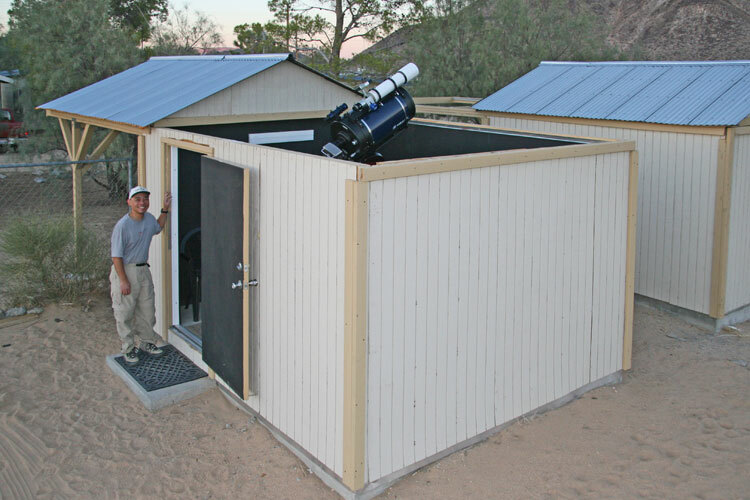 In June 2013 I moved my equipment to an observatory at the Center for Solar System Studies in Landers, CA. The roof rolls off to the north. 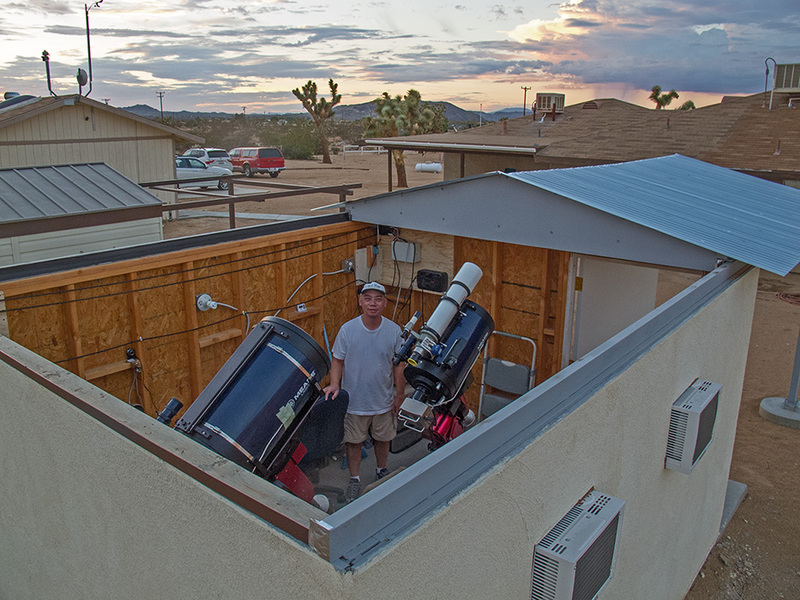 On the south (left in the image) side of the observatory is a 14-inch Meade LX200R telescope on a Paramount ME. 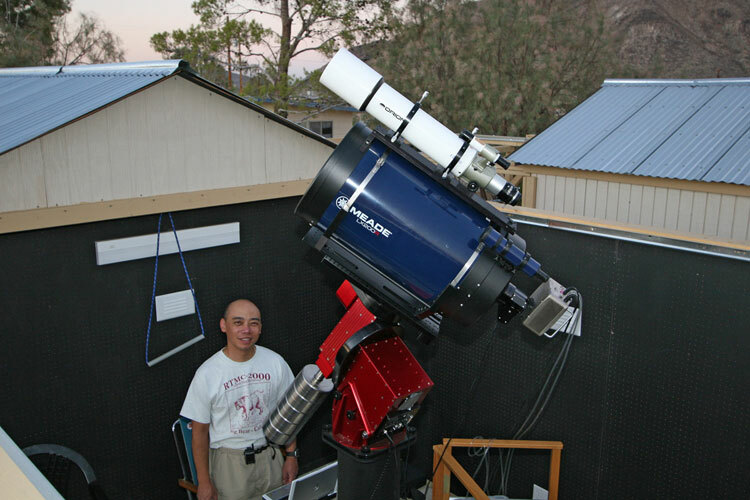 On the north side is a 12-inch LX200 telescope with a Vixen 102-ED mounted on top, on a Paramount MX. 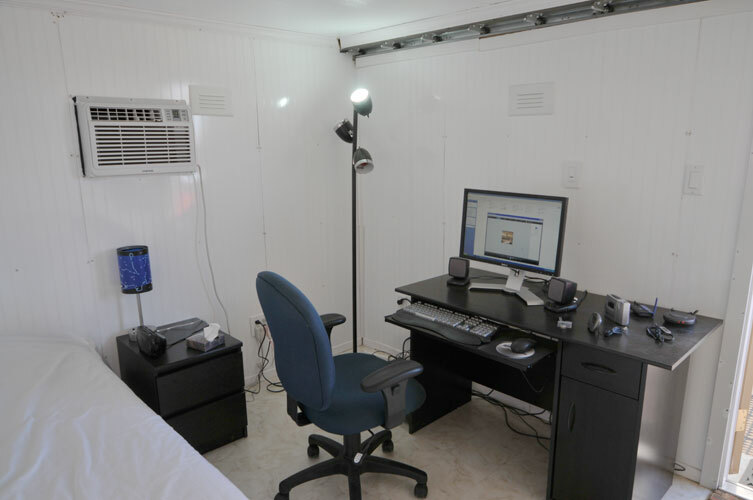 The mounts, cameras, focusers, and roof can be remotely operated over the Internet, while I can control the laptop computer in the observatory using VNC. 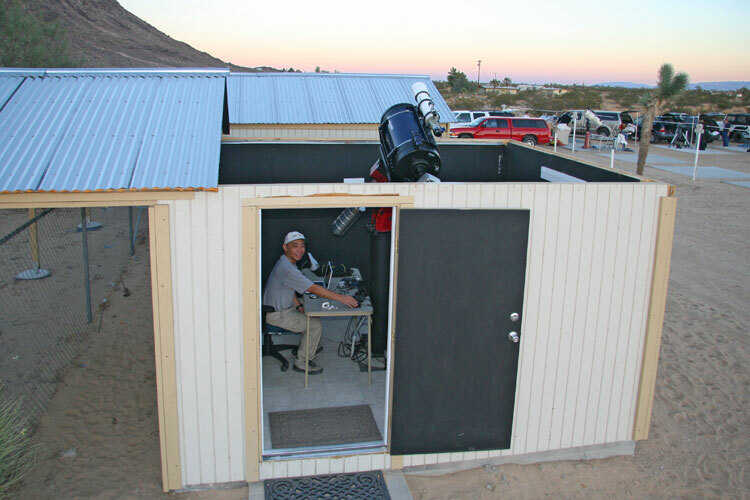 From the summer of 2006 to June 2013 most of my astrophotography was done at my observatory at the Riverside Astronomical Society's observing site in Landers, California. 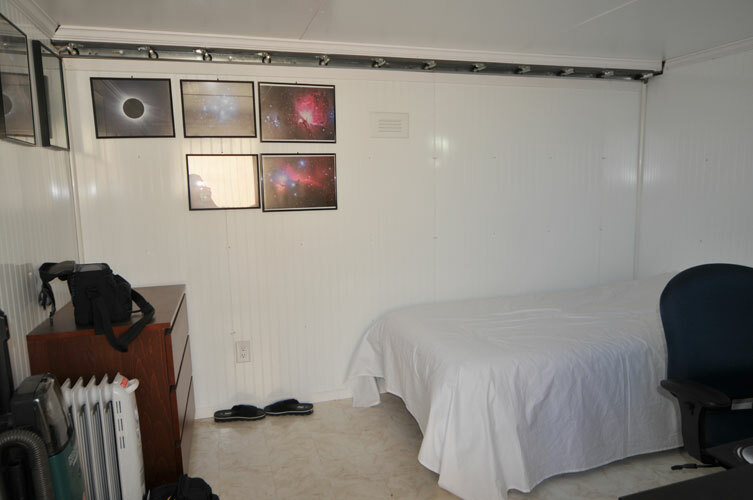 Next to the observatory was a warm room containing a desktop computer and bed. The desktop computer was connected to a laptop computer in the observatory via an Ethernet cable. This setup allowed me to control the laptop using the desktop computer, while also allowing me to use the laptop to control the telescope mount and camera directly.